There has been a paradigm shift in our understanding of how fluoride works, which has validated the use of fluoridated toothpaste to reduce the incidence of tooth decay, and simultaneously abandoned the outdated notion that drinking fluoridated water or taking fluoride pills makes teeth stronger (Limeback, 2012, Fluoride therapy. Comprehensive preventive dentistry). Like air, drinking water quality is something most of us take for granted, but can we afford to be so complacent? Australians often brag that they have one of the cleanest drinking water supplies in the world. Theoretically this assumption is correct if you drink it from the protected forest catchment area. As this is not permitted, the chemicals that are consequently added to ‘purify’ the water and the hundreds of kilometres of pipes through which it must travel, affect the quality of water that ultimately comes out of your tap. 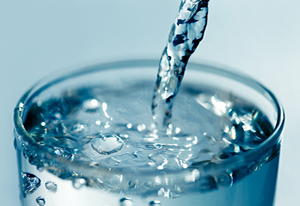 Water testing is critical if you are drinking water sourced from a tank or bore/well water in order to determine what is in your water supply. Send the water sample to a NATA accredited laboratory.